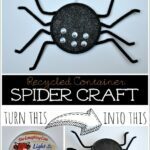 This spooky spider Halloween sewing craft is a great way to sneak in some fine motor work and beginning sewing skills at home or in school for Halloween. They would also look great hanging down from the ceiling or wall for some festive Halloween decor at home or in the classroom. Although we used the traditional black color I imagine a group of colorful spiders would be absolutely delightful to put on display for Halloween. Check out how easy they are to make! 1. Begin by tracing a small bowl on the back of your paper plate. You need to make sure there is adequate room around the outer edge of the circle for you to punch holes in it. Poke the inside of the circle with your scissors and then carefully cut out the circle. 2. Punch holes around the entire perimeter of the circle about 1/4-inch to 1/2-inch apart. 3. Cut out a length of thick black yarn about 12 feet long. Wrap a piece of tape around one end of the yarn to prevent the yarn from fraying as you sew. Tape the opposite end of the yarn onto the back of the paper plate. Bring the yarn up from one of the holes in the back of the paper plate and then back down a hole in the front of the paper plate. 4. Continue lacing the yarn through the holes in the plate, making sure to pass through each hole at least once. Fill up the empty space of the circle as much as possible with your yarn. When you reach the end of the yarn tape it onto the back of the paper plate. 5. Cut four pipe cleaners in half for the spider legs. 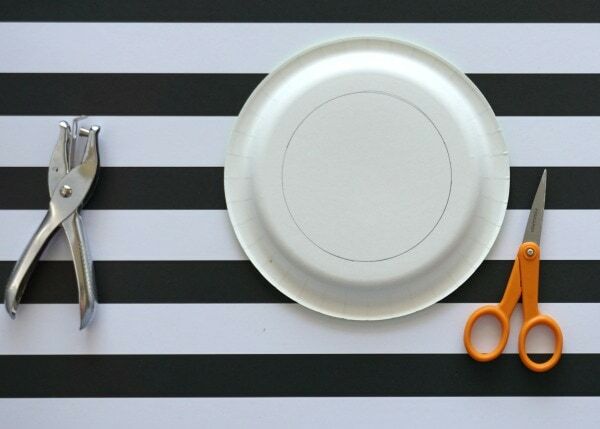 Bend each section in half, place one end through a hole in the front of the paper plate and then bend the pipe cleaner on the back of the paper plate to hold it in place. 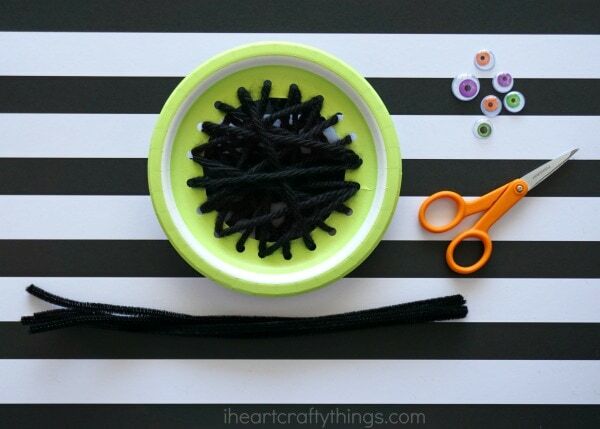 Do this with each section of the pipe cleaners. 6. 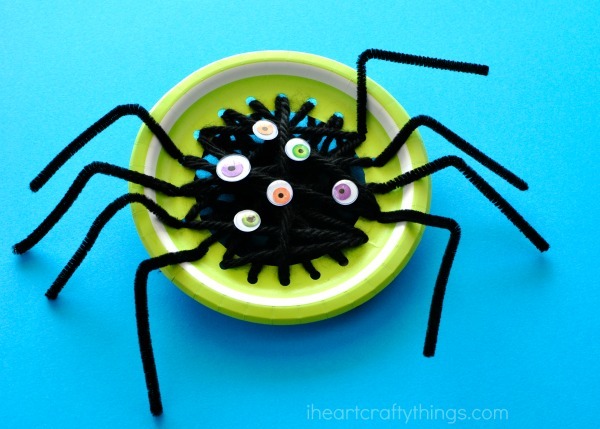 Use Tacky Glue to glue several googly eyes on your yarn spider. Let the glue dry before playing with your spider. 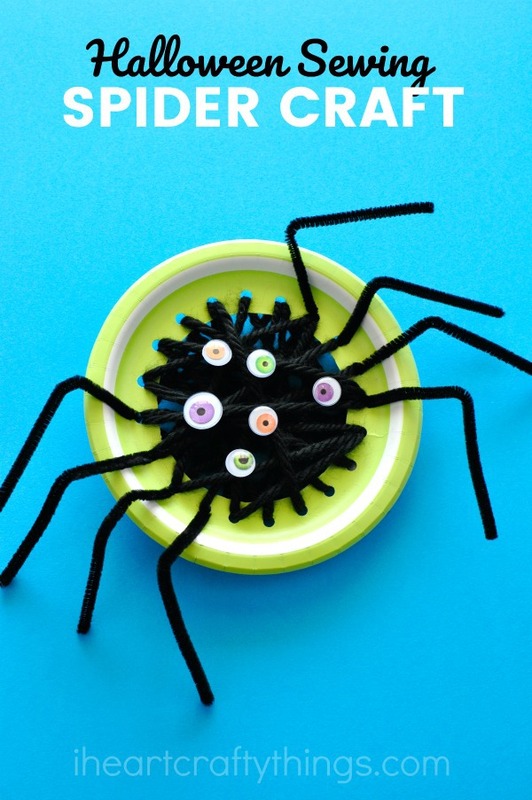 Your Spooky Spider Halloween Sewing Craft is finished! For extra fun, punch a hole at the top of your paper plate and tie a piece of white string to it. Then hang your spider on the wall or hanging down from the ceiling as a spooky Halloween decoration. 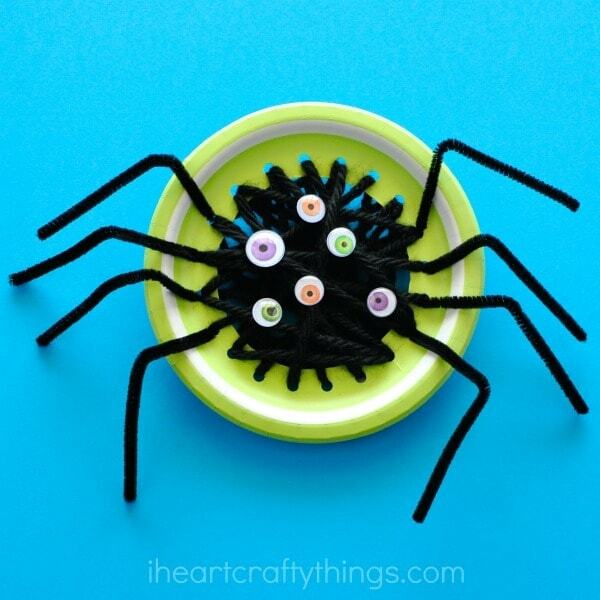 Looking for more spooky Halloween Crafts? 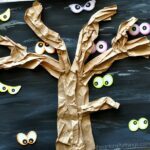 You’ll love this Halloween Tree Craft or this paper bag witch. 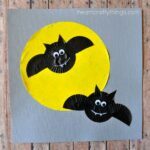 We also adore this paper plate vampire craft made from our friends at Artsy Momma.